The kaliadem could be reached by your own vehicle; the route heading is easier. But you must be careful, about 5 kilometers near the tourist area, you will find the tight, up and down small streets. This position of the Kaliadem is 1100 meters above the sea level. It's make the air still relatively cool, although the tree forest was destroyed when the hot clouds hit on. On June 2006 the government closed Kaliadem until the situation safer and the activity of Mount Merapi back to normal. When the area was opened again, hundreds visitors has been came until today, locals and foreigners. A few months after the eruption, some buildings and many objects that burnt just left. Including a motorcycle belong to the SAR of Merapi and some little houses. This view becomes interesting attractions for tourists. And now, these objects can be seen at Gunung Merapi Museum.At this time, Kaliadem areas is dominated with white sand and the stones from the Mount Merapi eruption, looks more exotic. Sometimes, Merapi Peak is seen so clearly without any equipment tools because it's very close. Especially at night, the visitor can watch molten lava from the peak. The red lava looks contrast with the dark night sky. One more thing that interesting for the tourist is the bunker where two of safety guards of Merapi were died. They were trying to enter the bunker when the hot clouds slide down from the mountain. It's a pity that the bunker was closed with dry lava and volcanic material, so their body roasted inside. Because of the accident, sometimes the local peoples tell about local myth. There are restrictions for visitors who want to enter Kaliadem using clothes with red, yellow, or orange color. The local believes that if someone use one of the color, it can cause the lava from Mount Merapi come out and will catch up the owner of the color. 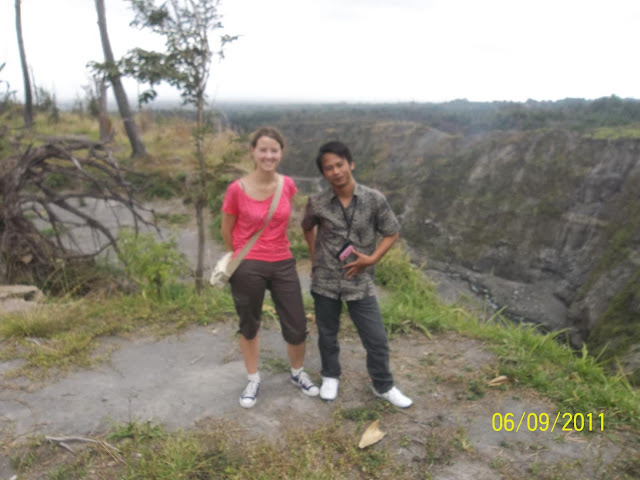 Don't be afraid with the eruption of The Mount Merapi. Southern place is placed with volcano signal and alarm.